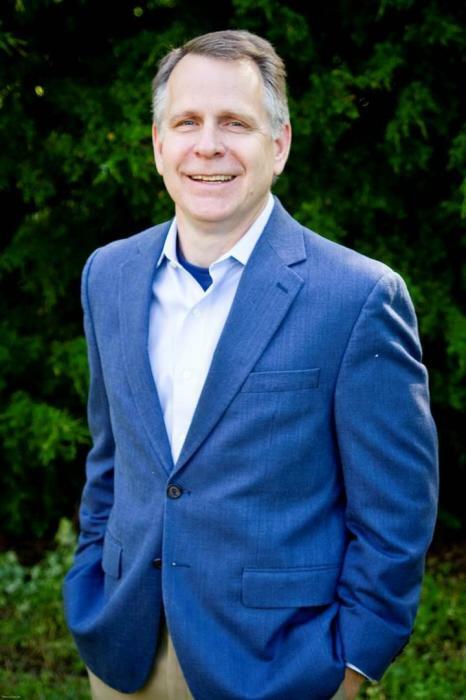 Scott Andrew Clark, 57, of Bentonville, AR passed away Tuesday, April 2, 2019 at Washington Regional Hospital in Fayetteville, surrounded by his family. He was born February 2, 1962 in Nashville, TN to Shelah Lewis and Patsy Kirby Clark. Scott was a magnificent husband, father, friend and leader, whose love for God and others bore fruit. He loved his wife all the way; his children and grandchildren, intensely. He loved to do what they loved to do, going on many adventures. He was known for adventure, courage, generosity, wisdom, and humility. Scott cared for others. Many call him “Best Friend,” and many call him “Dad.” He loved mercy; he and Jo Ellen’s home was open to people of all nations and backgrounds. He lived acts of justice, defending the oppressed and fatherless. Scott operated his Chick-fil-A stores with integrity and servant-leadership, empowering and growing others. He passed on wisdom as a speaker, consultant and mentor, but he never promoted himself and shied from recognition. He was a faithful member and shepherding elder of Fellowship Bible Church. Scott is survived by his loving wife of 34 years, Jo Ellen; his four sons, Kirby Andrew Clark and wife, Jennifer Nicole Clark; Clayton Joseph Clark and wife, Lana Aubrey Clark; Seth Michael Clark and wife, Stephanie Marie Clark; Nathan Davis Clark and wife, Rachel Caroline Clark; and six grandchildren: Sarah, Patsy, Camella, Kellen, Henry, and one soon-to-be born. He is also survived by his mother, Patsy Kirby Clark; and by his siblings Shelah Lewis Clark (wife, Janis Stewart Clark), Roger Lee Clark (wife, Vickie Spinelli Clark), Ben Richard Clark (wife, Christine Raphael Clark), Amye Clark Hebert (husband, Brian Joseph Hebert), and Kay Hardin. And by his heart-son, Houssein Mheimid (wife, Amy Marie Mheimid, daughter, Hannah). Memorial service will be held at 3PM, Sunday, April 7, 2019 at Fellowship Bible Church in the Worship Center, 1051 W. Pleasant Grove Rd. Rogers, AR 72758.
and Saving Grace NWA (www.savinggracenwa.org/donate). Memories may be shared at stockdale-moodyfs.com.